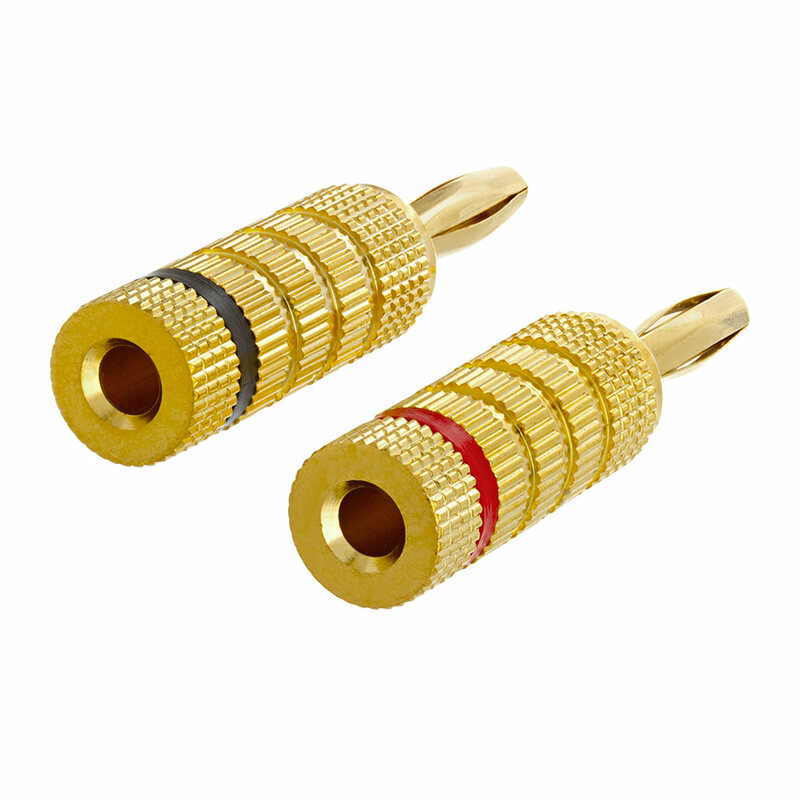 A banana plug is mainly used to insert speaker wire coming from an amplifier or receiver directly into the speaker. Primarily used to insure a tighter connection of a speaker wire to the binding post in the back of the speaker or in the back of the audio receiver. 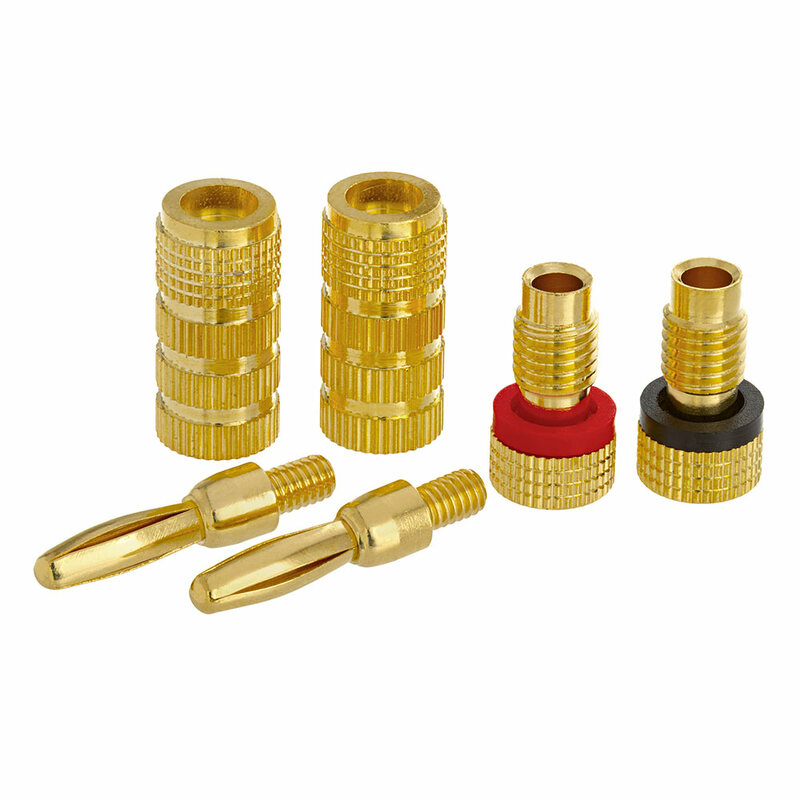 The plug is 24k Gold-plated and has a side cable entry and will accommodate a 12~24 AWG wire. 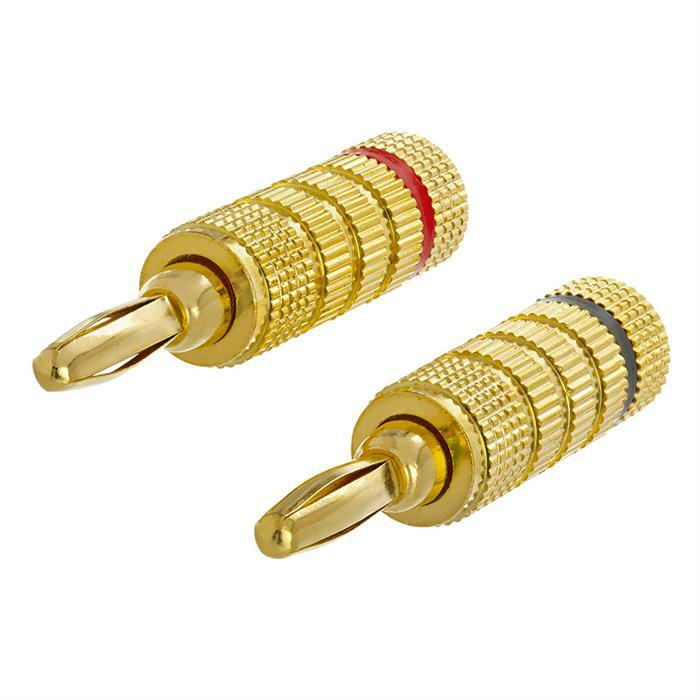 Speaker wire posts are Color coded, for easier recognition.